Is solo travel in Vietnam right for you? Find out now! | My Five Acres. Travel. Adventure. Yoga. Is solo travel in Vietnam right for you? Find out now! 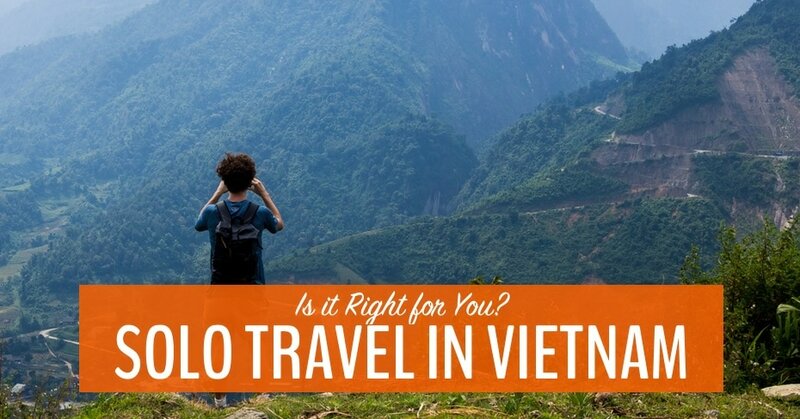 If you’re wondering about solo travel in Vietnam, I have great news for you. Travelling alone in Vietnam is safe, fun, and hugely rewarding. In fact, Vietnam is my favourite country for solo travel! Read on to find out why. Usually, Stephen and I travel as a couple. But since he is often busy with yoga teaching for months at a time, I get to travel solo too! Best of both worlds. One of my first big solo travel adventures was through northern and central Vietnam. Since then, I’ve travelled solo all over Vietnam, from the northern mountains of Sapa, right down to the southern Mekong delta and south coast. I loved (almost) every minute of it! In fact, of all the countries I’ve travelled solo, Vietnam is my favourite. Is solo travel in Vietnam right for you? What’s in our guide to solo travel in Vietnam? 1. Is solo travel in Vietnam safe? 2. Is it fun to travel alone in Vietnam? 3. Is solo travel in Vietnam affordable? 4. What are the best destinations for solo travellers in Vietnam? 6. What if things go wrong in Vietnam? 9. When is the best time to go to Vietnam? Is solo travel in Vietnam safe? 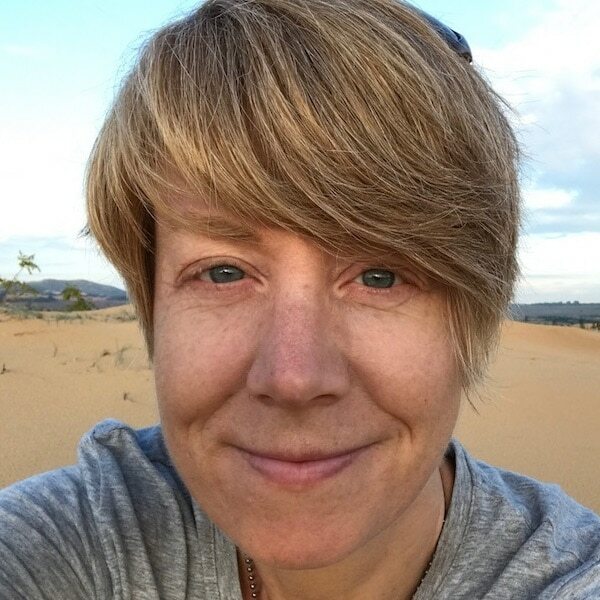 I have been to Vietnam at least 6 times (I’ve seriously lost count!) – and spent more than a year total travelling the country. Never once, in all those visits, have I felt unsafe, threatened, or uncomfortable in any situation. I’m not sure I can honestly say that about any other country in the world! So yes, travelling in Vietnam is about as safe as you can get. While I’m not suggesting that you should be completely careless and reckless in Vietnam, I am saying you can relax. 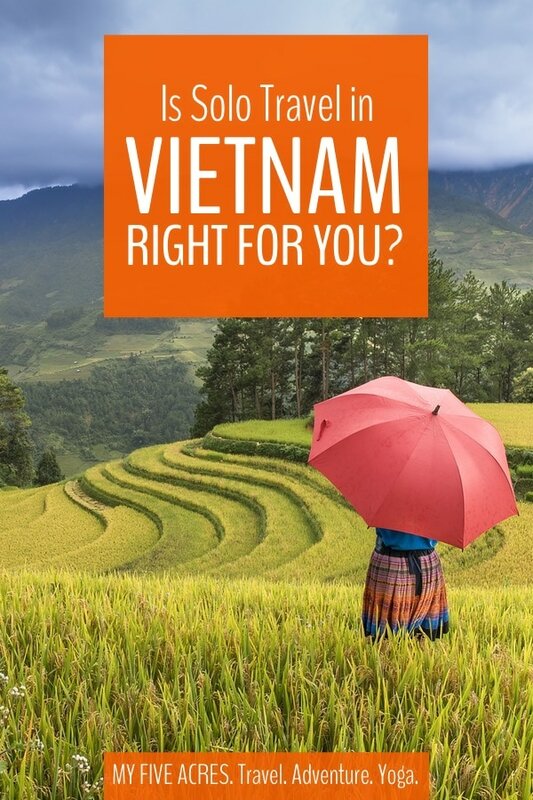 Since they rely heavily on tourism for their income, most Vietnamese people just want you to have a great time in their country — and then recommend it to your friends! Just like anywhere though, there are a few bad apples. The biggest threat is bag- and phone-snatching. If you’re walking on a busy street in the city, don’t make it easy for someone to ride by on a motorbike and grab your bag or your phone. If you need to look something up or check your map, move away from the traffic and into a shop doorway. For solo female travellers, sexual harassment is almost non-existent. If you do experience any, it is more likely to come from your fellow travellers than from the locals. If you are being bothered or feeling threatened, go inside a shop or tell a Vietnamese women. She will most likely give the offending man a smack-down he won’t soon forget! Vietnamese women might be small, but they are tough as nails. Of course, you’ll want to take the same precautions in Vietnamese cities as you would in London, New York, or Melbourne. Don’t walk alone late at night in deserted areas and don’t get so drunk you can’t take care of yourself. Is it fun to travel alone in Vietnam? Some of my best solo travel moments and memories have happened in Vietnam. I loved eating my way around Hanoi, trekking the caves of Phong Nha, riding a motorbike from Hue to Hoi An, and soaking up the nature in Tam Coc. Cave trekking in Phong Nha was a Vietnam highlight for me. There are some countries where I don’t enjoy travelling alone. When it’s hard to get good information (Indonesia), or hard to keep from being harassed (India), or the people aren’t that friendly to strangers (Eastern Europe) then I don’t like travelling solo as much. In countries like this, it’s nice to have a travel partner to laugh with about the things that go wrong. In Vietnam, I find it so easy to get around, get information, and meet people, that there is little stress and lots of fun. Is solo travel in Vietnam affordable? Despite its growth as a tourist destination during the last decade or so, Vietnam is still incredibly cheap. You can get a great meal in a restaurant for about $5 USD, you can book a clean and comfortable double hotel room for around $12 USD, get a fantastic hostel bed for $4, and take a bus for 5 or 6 hours for about $6. This meal cost less than 2 dollars. Vietnam is very easy on the budget! If you’re on a budget, Vietnam is easy on about $25–40 per person per day. If you have a little more money, you’ll still find it challenging to spend much more than $60 per day! What are the best destinations for solo travellers in Vietnam? I always advise first-timers to Vietnam to concentrate on the north of Vietnam and leave the south for a different trip. I prefer to Hanoi to Ho Chi Minh City and Sapa to the Mekong Delta. If you have time, from Hanoi you can head south to Tam Coc, Phong Nha, and Hoi An – all places I highly recommend. Trekking in Sapa is a little touristy but still a great experiene in Vietnam. Though Sapa is pretty touristy (especially the city of Sapa, which you should avoid), the 2-day trek and homestay tour I did was really fun. I arranged my tour with Lily’s Travel Agency in Hanoi, and they took me door-to-door from my hotel in Hanoi to the trek starting point in Sapa. The first day of the trek was a little bit boisterous, since our group included a bunch of lads from England. But on the second day, the lads left, and the five remaining travellers had a fantastic hike along the mountain tracks in Sapa. The cave system in Phong Nha is one of the biggest in the world. Only a few caves are open to visitors and if you want to do the 6-night trek, you’ll have to book far ahead. It will cost you, too. However, a one-day trek is worth the splurge (around $90) and it’s a great way to see the caves and meet fellow travellers. You can also take a boat trip into the beautiful Paradise Cave or visit the Dark Cave, where you zipline across the river to gain access and then wade in a pool of mud! While many people take the train between Hue and Hoi An, I opted to book into an “easy-rider” motorbike tour, where I hopped on the back of a motorbike and an experienced driver did all the hard work. Before we left, I was a little nervous because I’d never been on a motorbike for more than a few minutes and I was the only guest on the tour. It turned out to be a fabulous experience. The driver spoke perfect English and he was full of interesting information about the sights. I got a chance to ride the famous Hai Van Pass and visit the amazing Marble Mountain in Da Nang. When they dropped me off at my hostel in Hoi An, my suitcase was ready and waiting for me at check in. Le Family Riders provided an excellent tour, so make sure you check them out when you’re booking. Tell them I said “hi”. Even the scams in Vietnam are tame compared to many other parts of the world! Though there are a few dishonest people wherever you go, most Vietnamese who work in the tourist industry pride themselves on their honesty and on delivering great service. Note: You might read horror stories on other sites about the scams and dishonesty people face in Vietnam, but many of these are from years gone by, before the tourist industry there had really matured. More recent ones often feature tourists being absent-minded or just plain stupid. If you use your common sense, you will rarely even see signs of a scam in Vietnam, let alone fall victim to one. What if things go wrong in Vietnam? It doesn’t matter where you are, sometimes you’ll face some trouble on the road. Like that time I was on a long-distance bus in Vietnam and we stopped at a rest stop for a break. I went to the toilet and came back five minutes later to discover that my bus was gone — with all my luggage on it! I had a mild freak-out for a minute and then, after taking a deep breath, went to find a conductor. He couldn’t speak any English and I can’t speak any Vietnamese but he still managed to communicate to me that my bus was going to fuel up and would be back in five minutes. While I was speaking to him, some Vietnamese women that had been on the bus with me saw me and gestured me over. Again, with no shared language, they gave me the message that I should wait with them until the bus came back. This is typical in Vietnam. 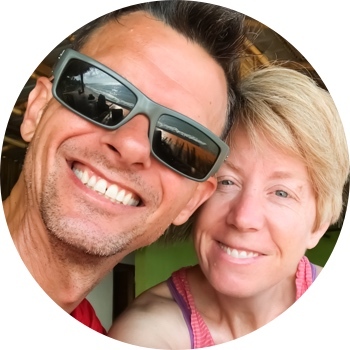 People are unfailingly open, helpful, and friendly. Especially if you are a female solo traveller, you’ll find that plenty of Vietnamese women will look out for you. The great thing about travel in Vietnam for solo travellers is that most tours are open group tours, where anyone can join. (Lots of other countries offer mostly private tours, which end up being way to expensive for one person). For example, I took a super-fun scooter tour in Hoi An and had a great day with a group of fellow travellers. A group tour is a great way to meet people in Vietnam. As an introvert, I understand just how hard it is to meet people anywhere — whether you’re travelling or not. The great thing about Vietnam is that it’s easy to spot your fellow travellers out and about, and there are lots of solo travellers to meet. You just need to be a little bit brave, walk up to a stranger, and start a conversation. The best icebreaker is to ask a question about a local tourist attraction or nearby restaurant. This gives you a good reason to start talking and hopefully you’ll gain some useful information along the way! Transportation in Vietnam couldn’t be easier. You can arrange almost anything you need right at your hostel or hotel. You might pay an extra $1 or so for the service but it’s a lot easier than trekking out to a travel agent to do it yourself. If you arrange with your hotel, you’ll almost always be picked up right from your door too, so you’ll avoid dragging your luggage through the dusty and crowded streets. Almost all long-distance busses in Vietnam are sleeper busses, where you’ll have a reclining seat to stretch out on. I love these busses because they give you a private space where you’re not rubbing shoulders with the person next to you. It’s also a pretty comfy way to ride (unless you’re over 6 feet tall). I’ve already mentioned the joys of the “easy rider” motorbike, which lets even us motorbike neophytes feel the wind in our hair. (Actually, you should always wear a helmet on a motorbike, especially in Vietnam, where it is the law). If you’re an experienced motorbike driver, then you can achieve even more freedom by buying or renting a motorbike in Vietnam. Though the driving can be freaky in the cities, with their chaotic knee-to-knee traffic, once you’re out in the countryside, you’ll have a fabulous experience. When you’re staying in the city, I command you to get the Grab App! Grab is a motorbike and car hailing service (like Uber) that will send a bike and driver to your location. Especially in traffic-choked Hanoi and Ho Chi Minh City, Grab is the perfect way to get from place to place. The service is organized, reliable, and generally safe — though your first few rides can be nerve-wracking as your driver weaves through hundreds of cars and other motorbikes. Also, it costs less than a dollar to go several kilometres, so it’s much better than walking! Speaking of walking… this is my biggest complaint about Vietnam. It is really hard to walk anywhere. There are few sidewalks in small towns, and in the cities, the sidewalks are often filled with street vendors (though, sadly, the government is cracking down on this wonderful part of Vietnamese culture). You usually have to walk in the gutter next to the road. Crossing the street can be a challenge too, as there is often non-stop traffic, with no visible break. If you’re new to crossing the street in Vietnam, stand next to a local and walk when they walk. Keep calm, walk slowly but steadily, and you’ll miraculously make it to the other side without a scratch. In both Hanoi and Ho Chi Minh City, they have recently pedestrianized the touristy districts on Friday, Saturday and Sunday. This is a great time to walk around without having to dodge a motorbike every six seconds! My favourite way to get around in the Vietnamese countryside is by bicycle. On a bicycle it’s much more likely that you’ll get to exchange smiles with local woman and high-fives with local kids. It’s also just a bloody fun way to get away from the rest of the tourists and see something different. The best time to go to Vietnam is… right now! Seriously, there is no bad time of year to travel in Vietnam. The country has such diverse landscape that you’ll find different weather patterns in different areas year round. In general, spring (April and May) and fall (October and November) are good times to go, as the weather is not too hot and tourist traffic is a little lighter. Especially in the far north around Sapa, you’ll want to avoid the freezing cold temperatures in winter. It can get cold and wet in northern Vietnam during the winter. This was February in Ha Long Bay. December is a popular time to go to Vietnam, so you might find things more crowded than normal if you choose that month to visit. So now that you’re ready to say “Yes!” to travelling alone in Vietnam, you’re going to need to know what to pack. Here’s what you’ll need to make the best of your Vietnam solo trip. 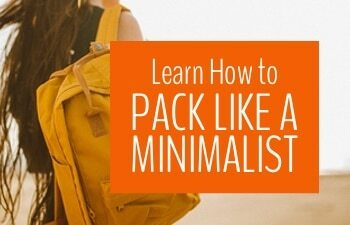 This is my number one packing tip for any destination but it especially holds true for solo travel in Vietnam. Bring less (way less) than you think you’re going to need! There is hardly anywhere in Vietnam where you can comfortably wheel a suitcase, so you’ll want to invest in a good backpack. Get one that is small and light enough so you can comfortably walk a couple of kilometres on rough terrain while wearing it. Do you need a hostel sheet? Accommodation in Vietnam is some of the cleanest in Southeast Asia. Even hostels and cheap hotels tend to be very well maintained, since there is a lot of competition for your tourist dollars. Hostels in Vietnam tend to be spotless, so you probably don’t need a hostel sheet. I’d say don’t bother bringing a hostel sheet to Vietnam unless you plan to pay $3 per night or less for your accommodation! If you discover you need one when you’re already in the country, you can buy a silk hostel sheet on the street in Hanoi for about $5. Do you need a money belt? I’ll let you in on a little secret… I never carry a money belt. I find them awkward and sweaty, especially in the damp heat of southeast Asia. Vietnam is a relatively safe place to travel, too, so you’re far less likely to get pickpocketed there than in any major European city. Instead of a money belt, I make sure to tuck emergency cash away in a few different places around my luggage. I keep only a little money in the wallet I use for making day-to-day purchases and stash the rest securely inside my anti-theft backpack. Of course, none of this protects you from bag snatchers. Instead of a shoulder bag or purse, bring an anti-theft daypack for solo travel in Vietnam. And make sure not to stand at the side of any busy roads with your bag hanging temptingly into traffic! Do you need a smog mask? In Ho Chi Minh City and Hanoi, the air can get extremely thick. I’ve found that a smog mask really comes in handy when I’m riding Grab bikes around the cities – it makes me feel a little better about exposing my lungs to the terrible air! Lots of locals where smog masks in Vietnam – you can easily buy them there. If you’re not planning on spending much time in the city and you don’t have asthma or related problems, you can probably get away without a smog mask. Good quality ones are easy to buy once you’re in Vietnam, so don’t worry about bringing one from home. SIM cards and data in Vietnam are very cheap, so you might just want to grab a SIM on your first day in the country. To do this, we recommend going to Thegioididong (you can recognize it by the bright yellow sign), where they usually have at least one English-speaking staff member and very good customer service. Having cellular data and some phone calls can be really helpful if you want to change plans at the last minute or you unexpectedly need help. And of course, it’s convenient for hailing a Grab bike! You never know when the skies will open in Vietnam! Even if you’re heading to Vietnam in dry season, you will need something to protect you from unexpected downpour. Ideally, your rain jacket should be super lightweight and packable, so you carry it around with you. If you’re planning on renting or buying a motorbike in Vietnam, wait until you get to the country where you can buy a big waterproof motorbike poncho almost anywhere. You’ll need a good rain poncho if you plan to rent a motorbike in Vietnam. Travelling solo in Vietnam can be exciting but it can also get really boring. If you’re on a long bus ride by yourself, you’ll definitely want something to pass the time. I make sure my phone is loaded up with podcasts and music that I love before getting on any long-distance bus. It’s entertaining and it drowns out the noise from fellow passengers and the bus music system! From walking around Hanoi to wandering through rice fields in Tam Coc, you’re going to need a great map to keep you on track. I use two maps that both work offline and don’t sap your cell data! 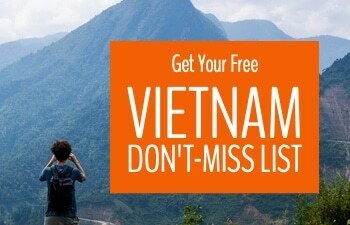 Make sure you get Maps.me or PocketEarth and download the Vietnam maps before your solo trip. If there’s one thing you need to know about Vietnam, it is noisy! Streets are filled with honking traffic from about 4am until midnight and you’ll hear people talking at full volume all times of night and day. Plus, if you take advantage of the great hostels in Vietnam, you’ll need to drown out your fellow travellers, too. A great pair of earplugs is essential for solo travel in Vietnam. I hope you liked this guide to solo travel in Vietnam. It’s such a great place to travel alone, that I hope I convinced you to do it! Let me know in the comments below and shout if you have any questions or hesitations about your solo trip in Vietnam! Pin for your solo Vietnam adventure.